This innovative new part is a logical extension to MENTOR’s already hugely popular 1296 range. 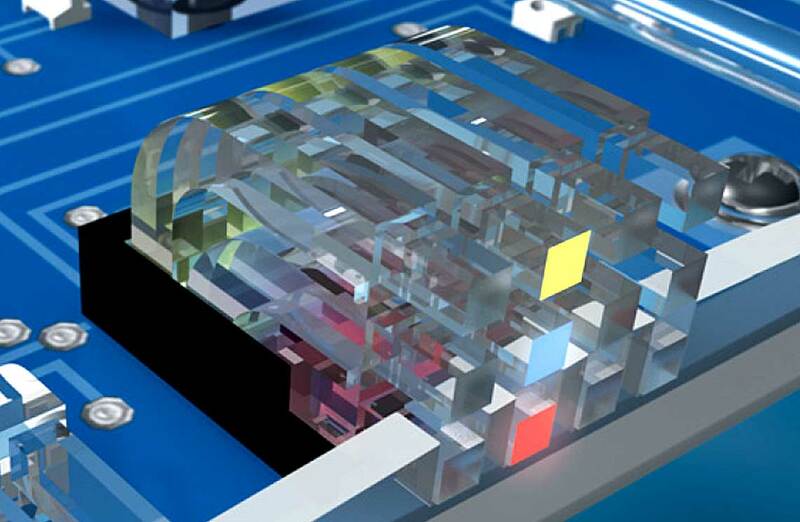 Design Engineers will be excited by its minimised 1.4mm x 1.4mm square display and will embrace the opportunities this provides when designing modern miniature indicator systems. The unique miniature, square-head format will allow them to differentiate the look of their products from those of their competitors. 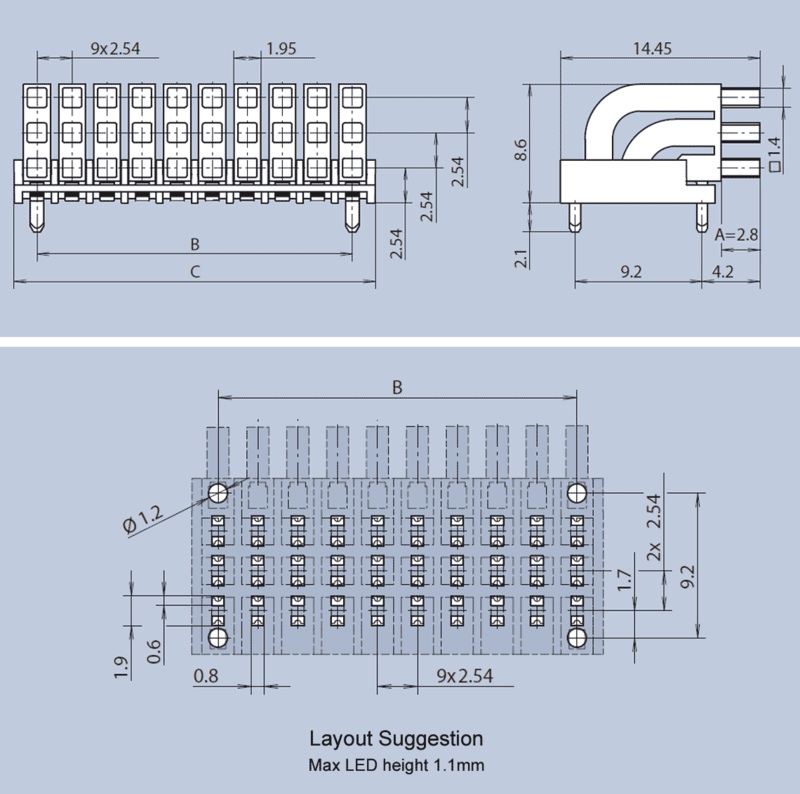 This three-row high array of square-format light guides is available in 1-10 columns (3-30 elements) in a miniature 2.54mm grid and designed for use with type 0603 CHIPLEDs. It is mounted on the PCB via press-in lugs. An integrated diaphragm prevents light bleed, thus allowing the use of mixed colors with optimum optical quality. These new light guides are offered in a standard Length A of 2.8mm but custom lengths between 2.8mm and 45mm are available.